With Tax Returns finally coming in for everyone (at least, we hope you filed your taxes by now…) it’s time to really think about what to do with all that extra money sitting around! Don’t let it burn a hole in your pocket, but don’t go rushing to spend it all in one place! There’s no better time than now to start thinking about a few home improvements, big or small, that you might have been putting off until now. Cabinet Hardware: Tired of the old handles and knobs on all your cabinets? It doesn’t cost much to buy new, modern sets… and best of all it doesn’t take long to replace them on your own! 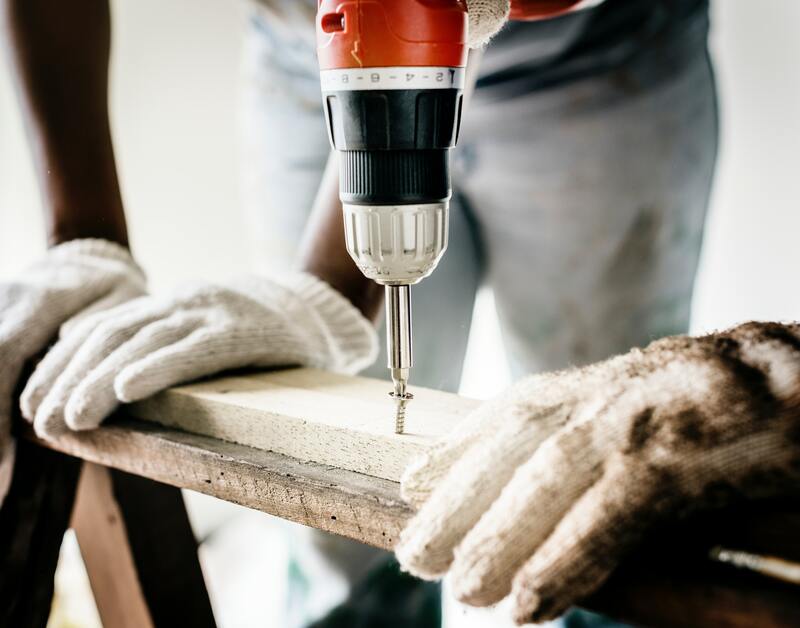 With just a screwdriver or a cheap power drill, you can spend about an hour going through your house and be done with the entire project. Air Conditioner Maintenance: Not only is it cheap, but it’s important! Servicing your AC, either by yourself (by buying new filters) or by calling in the professionals is an important part of being a homeowner! It keeps your home clean, dust and allergen free, and most importantly… it keeps you and your family healthier! Okay so let’s break into the not-so-expensive but not-so-cheap-anymore category! Ready? Kitchen Backsplash: This is not only within most people’s price range, but it’s an amazing way to spice up any kitchen! A nice backsplash goes along with the current color scheme of a kitchen but also adds a little flare that might have been lacking beforehand. Painting Your Walls: Sometimes a room color can age pretty terribly, we’ve all seen it before. There’s nothing like revitalizing a room by painting it a new color, or at the very least touching up some spots that have seen some real wear-and-tear. If you have the time, money, and patience to do it yourself it can actually be a really cost-efficient job. And besides, the best feeling is looking at a job well done and knowing you put a bit of yourself into it! Bathroom Fixtures: Same concept as updating cabinet fixtures, sometimes all you need to fix a bathroom is a new sink faucet or new handles. Make sure that whatever you buy is applicable for the type of sink and countertop that you already have. Once you’re sure about it, watch a few how-to videos on YouTube, memorize what you need to know… and get to it! We know these few depend on more than how much of a tax return you actually get back. If you have bills that need to be paid, debts that are owed, or anything that you generally think the money is better off going to, please be responsible! We know you will be! Foliage Upgrades: It’s really easy to forget about your yard at times, but there’s nothing more pleasing than a few perfectly placed trees, pretty flowers, or satisfying succulents. Think about putting some money into the outside of your home and your yard, we promise it’s worth it in the long run once everything begins to settle and really take root. Garage Door: If you’re currently working with an older garage door, now might be the right time to modernize a bit and upgrade to something smarter, safer, and more efficient. Depending on what you get, some garage doors are actually made to be hurricane wind resistant and can really help improve the value of your home. It’s not a job you can do on your own, but after doing a little bit of local research, we’re sure you can find the perfect team for the job! Fresh Coat of Paint: We know, we know… painting again. But same as before, just on a larger scale, there’s nothing like sprucing up your home with a fresh new color. Fresh paint can really turn any home’s appearance around, especially if you’re living in an older home who hasn’t seen some TLC in a number of years. Moving Done the Right Way! Have you been waiting for the right time to plan your next big move? Worried about the process of packing and moving all of your furniture and possessions? My Tucson Movers can get the job done like no one else. Worry about getting there, we’ll do the rest! Contact us online today or give us a call at (520) 822-6140. Best Home Renovations With Your Tax Return Overall rating: 5 out of 5 based on 14 reviews.